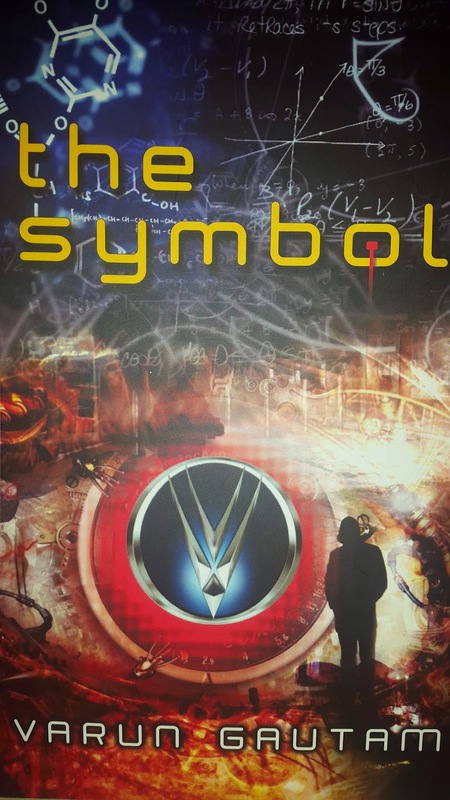 The Symbol is debut novel of Varun Gautam who is an engineer from Pantnagar University and has worked as a computer professional in prominent IT companies of India. He is now settled in New Delhi. This book is published by Authors Press and I received this book from the author. This story is an amalgamation of fictional and factual experiences. Cover: The cover page is deceptive. It gives you an idea of a science fiction where the symbol appears to be some scientific gadget. The chemical formulas,symbols,structures all meant to convey things related to science and the mysterious shadow man looks like a person behind all these things. But as you read it you will find it to be on completely different track away from what cover indicates. Science is related to the story as only being the stream of study of protagonist. Plot: The story revolves around two characters Arjun a student preparing for admission in IMS and Dhruv also the narrator of the story who was teaching in a school and has failed two attempts at IAS. Arjun the most deserving from his batch failed IMS entrance exam while his friend Mohan who according to Arjun was a failure in life gets more than what he deserved. Dejected Arjun lost hope and interest in education and started working in a company. Dhruv on the other hand was hopeful that he would get success in clearing IAS worked hard in school which run by an NGO to excel in his teaching endeavor. The Symbol then came in Arjun's life which change his love and professional life. Who gave him The Symbol? What The Symbol can do? How Arjun and Dhruv gets success? Will Arjun achieve what he wanted? All these questions were answered as story progresses and then ends with an unexpected twist. Highs: The comparison of ups and downs in their lives with Indian cricket team's triumph and downfalls is the highlight of the book. This inclusion of cricket in narrative is remarkable. The characters looks familiar and believable. The simple language maintains the flow of the narrative. The author has done a commendable job with his debut novel in keeping readers hooked while trying a genre different from romance and thriller liked by most people. Sighs : Their is no high point in the story. It maintains a similar level throughout without giving a surprise to readers in spite having so much opportunities in the narrative. I predicted the end before the climax due to lack of some interesting twists and turns. No development in characters other than Arjun and Dhruv. Verdict: Read for self realization of the value of success in your lives and for an introspect of life itself. Rating: I would give it 2.5/5.